MUST SEE TO BELIEVE! Amazing Open Custom Estate with High Quality Craftsmanship, Beautiful Landscape & Luxurious Appointmts Throughout. 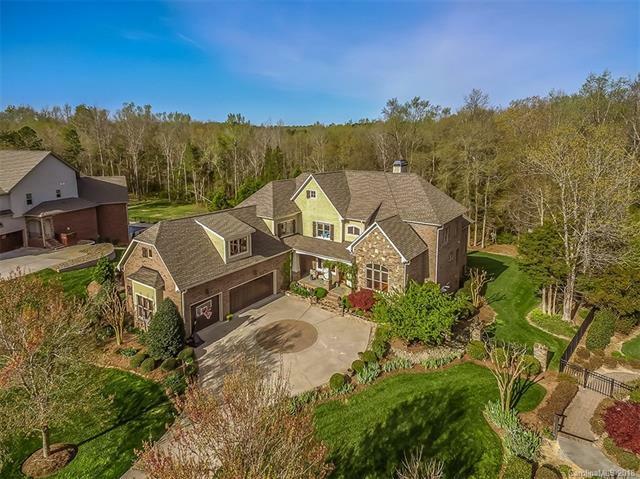 Great Gathering, Entertaining & Living Spaces on All Three Levels, including High-end Finished Lower Level - Total Perfect Retreat for Relaxing and Creating Life Memories! Grand 2-Story Entry, Gourmet Kitchen, Main-level Owners' Suite, Spa Bath & 2 Walk-in Closets. MOVE-IN READY! NEW - Roof, Main Refinished Hardwoods, Upper AC Unit, Composite Decking, Some Fresh Paint & Much More! Lower Level Dream Entertain/Living Area - Kitchen/Bar, Den, Wine, potential Media, BR/BA, Amazing Workshop with Garage Door, Plus Ample Storage. Over 1400sf of Outdoor Living, including Main Level Deck & Screened Porch & 2 Lower Terraces. Space for Pool. Low SC Taxes. Convenient to Ballantyne, Blakeney, Fort Mill, Baxter Village, and Much More! Check out the Video! Driving distances: Indian Land HS-4 mi., I-485 & Johnston Rd.-7 mi., Uptown Charlotte-22 mi., CLT Airport-23 mi. Sold by Ben Bowen Properties.